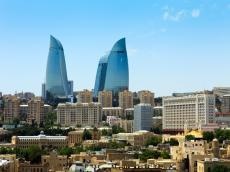 Baku will host the Italian-Azerbaijan Film Festival on January 25-30. The film festival aims to present the history of Azerbaijani and Italian film industries. The festival will be held with the organizational support of the Ministry of Culture, with the assistance of the Italian Embassy in Azerbaijan as part of cooperation with Ca 'Foscari University, Azerbaijan University of Culture and Art, Azerbaijan University of Languages, La Sapienza University of Rome. More than 10 films will be screened at the festival, Report.az informed. The films will be selected by the jury from both the Azerbaijani and Italian sides. Winners will be awarded with specially prepared "Zoroaster award". Bilateral relations between Azerbaijan and Italy continue to expand in a number of directions. Cultural ties between the two states have also been growing. Numerous festivals, cultural events are being held as part of the cooperation. Accompanied by a solid consolidation of the political dialogue, bilateral economic relations have further strengthened following the signing of a Joint Declaration for the establishment of an Italian-Azerbaijani Council in 2004. Baku and Rome are strategic partners in the energy sector. Italy, whose scanty natural resources traditionally make the country dependent on import has been a key partner for Baku. Since 1999, Italy has begun to receive a large part of Azerbaijani oil exported through the Baku - Supsa pipeline and then through the Baku - Jeyhan. This made Italy the number one partner for Azerbaijan and this position is maintained until today.